Beulah Odessa Combs was born on April 8, 1939, and grew up in Norfolk. After marrying her navy husband, she relocated to Florida with him. His early death left her with a void, so she made the decision to start fostering children since she was unable to have any of her own. She did this for over 10 years. Some of the children would just stay a very short while; others stayed for weeks or months. The last child she fostered was a two year old named Cheyenne whom she loved like her own daughter. She assumed it would be a temporary situation, but circumstances led her to ask for custody of this child. The day of the court hearing, the biological mother saw the love they had for each other and consented to a permanent adoption, giving Beulah full custody. Today, Cheyenne is 16 years old, and college bound and the light of Beulah’s life. Beulah served in the ministry for some time, but left that calling as she felt her hearing issues compromised her ability to do the job well. 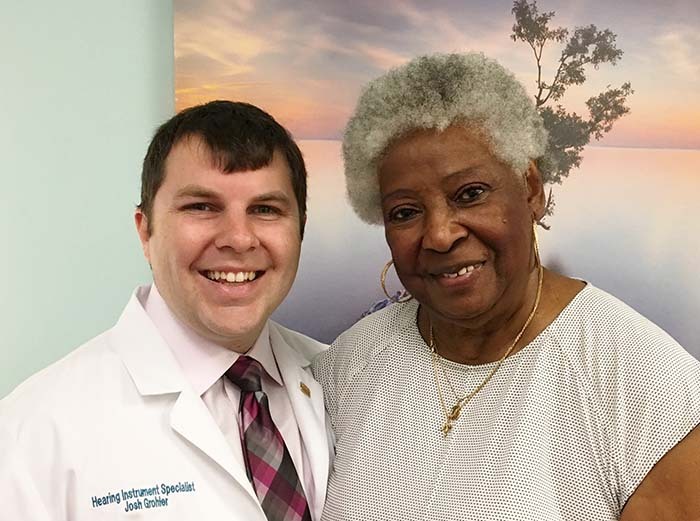 In September, 2017, Josh Grohler at the Wards Corner Beltone office fitted her with two Beltone hearing aids correcting her hearing issues. Now, she has a new lease on life! She’s ready to re-invent herself and move forward.